LAREDO, TX – El cantante y compositorMexicano, El Fantasma, estara presentandose en Sames Auto Arena el Viernes, 4 de Octubre. Puertas abren alas 7:00 p.m.
Con sencillez y la humildad que los caracterizan, Alexander Garcia mejor conocido como “El Fantasma” rompe una barrera mas para consolidarse como el artista del momento en el genero Regional Mexicano. En el 2016 el originario de San Jose de Cañas Durango, se convirtio en un fenomeno musical de las redes sociales de la noche ala mañana, pasando asi al escenario de la radio en donde ya esta arrasando en las listas de popularidad de la revista Billboard. Alexander se ha posicionado en un lugar importante dentro del genero, consolidadando temas como “Mi 45” sobrepasando los 70 millones de visitas en todas las plataformas digitales. Sus videos ya tienen mas de 350 millones de visitas en YouTube y el año pasado realizo un promedio de 80 conciertos en Estados Unidos, en los que reunion a cientos de fanaticos. Tambien conocido como “El Rey del Underground” esta actualmente promocionando su mas reciente disco titulado “Pa los Recuerdos Vol. II” el cual ya suena en todas las plataformas digitales, en tributo a la musica Mexicana que incluye exitos de Luis Perez Meza, Antonio Aguilar y Chalino Sanchez, entre otros. Banda Los Sebastianes nacio en la cuidad de Mazatlan Sinaloa, cuna de las grandes bandas, ha logrado posicicionarse en el top 10 de la radio en Mexico en tas solo cinco años de Carrera artistica. Con su 6to y mas reciente material discografico “Luces, Camara y Accion” Los Sebastianes se mantienen en el gusto del publico. A sus 21 años, Virlan Garcia, ha logrado ubicarse en los lugares mas importantes de la lista de popularidad, especialmente gracias al manejo de las redes sociales. Actualmente Virlan Garcia esta en proceso de promocion de su sencillo titulado “Voy amarte hoy”. Ha logrado ser escuchado por 800,000 oyentes mensuales en Spotify y tambien posee 148,757 seguidores en Instagram. El Fantasma llega acompanado de la Banda Los Sebastianes y Virlan Garcia este proximo 4 de OCtubre al Sames Auto Arena en Laredo Texas, para posteriormente presentarse el 5 de Octubre en el State Farm Hidalgo Arena en la cuidad de Hidalgo Texas, presentado por un spectacular show con todos sus exitos. LAREDO, TX – Mexican regional singer and songwriter El Fantasma will perform at Sames Auto Arena on Friday, October 4. Doors open at 7:00 p.m.
Ticketmaster.com or charge by phone at 800-745-3000. El Fantasma, also known as Alexander Garcia, was born in Las Cañas, Durango. His success with transforming corrido genre in such a short time has position him as “The King from the underground” in social media platforms. El Fantasma’s nickname comes from his family due to being the only family member with the lightest skin color. He was a gardener for 6 years but that didn’t stop him from following his dream of being a singer. El Fantasma songs are dedicated to hardworking people who live on a day-to-day basis for a better future. His special touch to the genre has captured the audience’s attention and has positioned him as one of the favorite artists among corrido lovers. His friends and colleagues are his major inspiration for music who are Lenin Ramirez, Legado 7, and Alta Consigna. The climb to fame started when “mi 45” was released as a single in 2016 with over ten million views. A couple of months later, his latest album “Vengo a Aclararte” debuted on the top Billboard Regional ranking at 29, and #5 in the Top Billboard Airplay. El Fantasma has obtained an iHeartRadio Music Award for Best Mexican Regional Artist, as well as landing the tenth spot on the Hot Latin Album chart with his live version of “Vengo a Aclararte en Vivo” during August of 2017. His recent work, “En El Camino” and “Dolor y Amor” arrived in 2018. Banda Los Sebastianes was established in the city of Mazatlan Sinaloa, the birthplace of the great bands. The band has managed to position itself in the top 10 Mexico radio in just five years of their artistic career. With his sixth and most recent recording material "Luces, Camara y Accion," Los Sebastianes remain in the public taste. At 21, Virlan Garcia has managed to position himself in the most important places on the popularity list, all due to social networks. Currently, Virlan Garcia is in the process of promoting his single titled “Voy amarte hoy.” He has been heard by 800,000 monthly listeners on Spotify and also has 148,757 Instagram followers. El Fantasma will perform with Banda Los Sebastianes and Virlan Garcia this October 4th at the Sames Auto Arena in Laredo Texas. 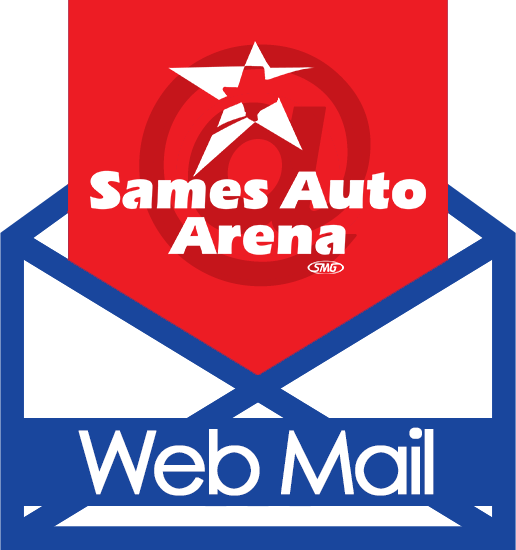 For more information, call (956) 791-9192 or visit samesautoarena.com.